Royal Tulip, Kharghar, Mumbai, has four gorgeous banquet halls with varying capacities for different occasions. Choose the Majestic for a full-fledged birthday party and the other halls for smaller functions such as a small get together. One of the finest banquets in Navi Mumbai, Royal Tulip can take care of your food, alcohol, décor and music all at reasonable prices. 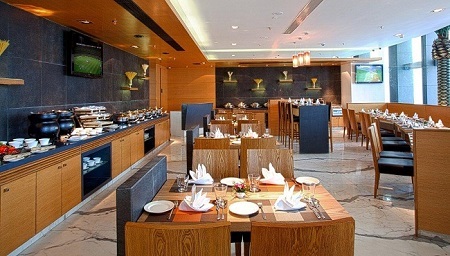 Celebrate your special days at O2 Banquets, Vashi, Mumbai. The hospitable staff will assist you in creating your dream birthday party and all other events. One of the premium party venues, O2 Banquets, Vashi, offers various services and amenities you require for a successful and grand affair. 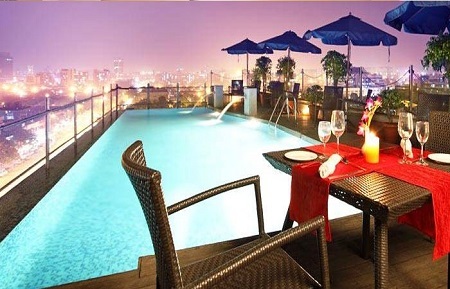 Hotel Yogi Executive, Vashi, Navi Mumbai is one of the best luxury hotels in the city and also one of the best banquet halls in Navi Mumbai that offers amazing hospitality services. The experienced team on the in-house panel makes every event a sprawling success with their expertise and dedication to satisfy customers. Every last detail of the décor and the menu can be customized and perfected to suit everyone’s needs. 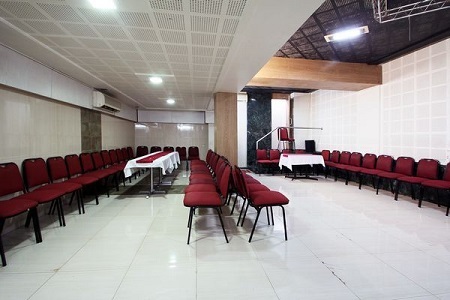 South Coast Hotel, Rabale, Navi Mumbai, is an excellent hotel to host a small function such as a birthday party or an anniversary function. You can choose among the elegant dining halls and the terrace depending upon your requirements and the team of decorators will turn the venue into your dream set-up with ease. Majestic Court Sarovar Portico, Ghansoli, Mumbai, is a 3-star contemporary hotel with top notch facilities for your birthday event. Not only does it enjoy proximity to the Millennium Business Park and Dhirubhai Ambani Life Science Centre, it is also equipped with warm staff and modern services. 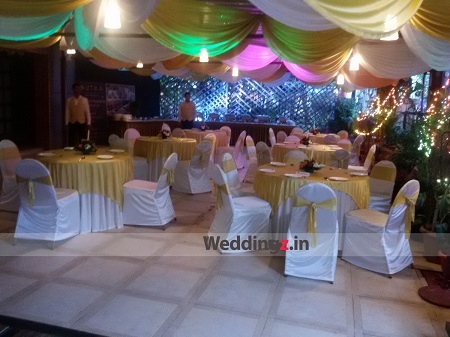 You can get a DJ from outside and ensure that everyone has an amazing sangeet party. Majestic Court Sarovar Portico provides the option of getting alcohol from outside and ensuring that your guests enjoy a well-stacked bar. 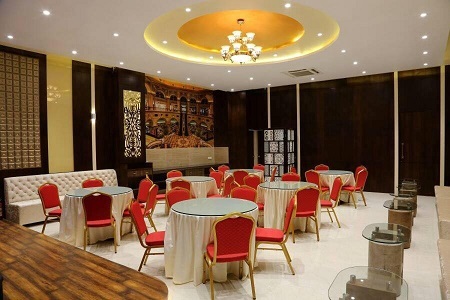 Strategically located in the heart of Navi Mumbai, Sutra Banquets, belapur, Mumbai, offers a complete package when it comes to parties and other events. Whether you are looking for delicious cuisines, traditional or contemporary décor or exceptional ambience and services, Sutra Banquets won’t fail to impress you with its all-encompassing banquets and services. You can get alcohol from outside and make sure your guests enjoy the bar options. 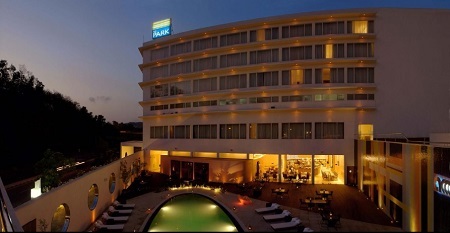 One of the most sought after banquet halls in Navi Mumbai, The Park has beautiful interiors, clean lines, contemporary design combined with traditional Indian patterns and textures. It brings together influences from East and West, fusing technology with local crafts. The Park has multiple spaces and sets a perfect ambiance for all events like birthday parties and anniversary functions. Their professionally trained culinary team is equipped to prepare a wide variety of delicacies both vegetarian and non vegetarian. The management is hospitable and ever ready to serve you and your guests with great enthusiasm.